Most people in Chorley today will know this pub as Sam's Bar although it has been the Waggon Makers' Arms for most of its 130 or so years. 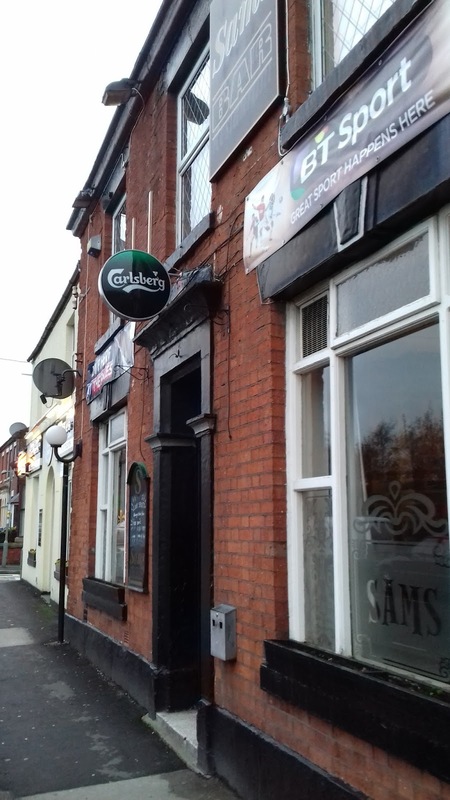 The beer house first appeared on the 1881 census with listed landlords at the pub being Thomas Miller (1881), Isaac Riley (1891) and James Shaw Seddon (1891-1911). 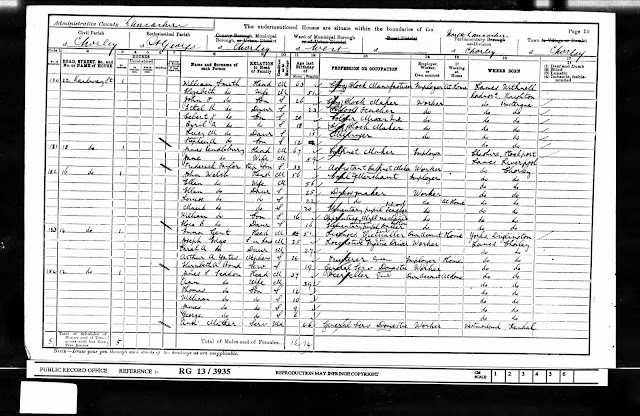 In 1871 a Thomas Lowe, occupation "carter" is listed at 12 Railway Street with his family. 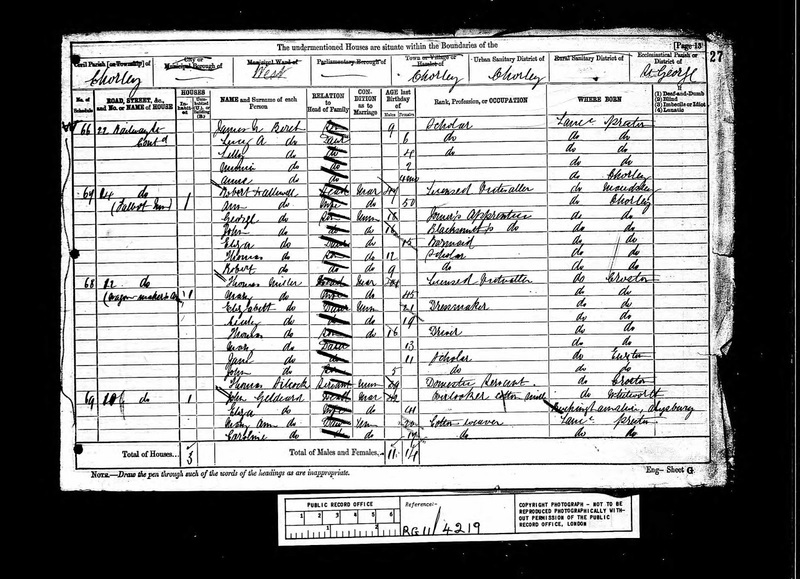 Robert Riley was the son of Isaac Riley, Innkeeper at Waggon Makers' Arms in 1891 Census. 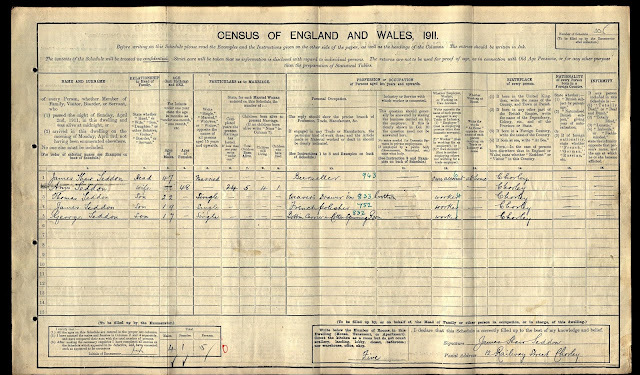 "Enlisted 24th September, 1914, and served in England. Died suffering from pneumonia, at Prees Heath Military Hospital, on 16th November, 1916. Attended St George's Church. After joining the Chorley 'Pals' he was transferred to the 75th Training Reserve Batt. [Regimental number 48111]. He went through all the South African War [with the King's Own Lancaster Regimen], and won both the King Edward and Queen Victoria medals. 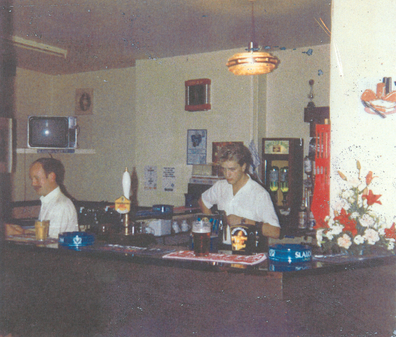 He and another were the sole survivors out of a party of 50, who were killed at Spion Kop. He has five bars to the Queen's medal and two to the King's." There is no record in Naval and Military Books. The CWGC lists under number 16021. He was buried in Chorley Cemetery. 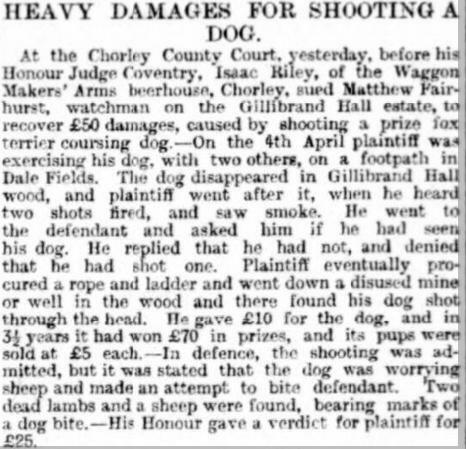 He was the husband of Hannah Isabella Riley of 5 Alker Street, Chorley. He had one child. [Garwood has number his number as 16021]. The Chorley Guardian photograph of 2/12/1916 and article of 25/11/1916 agree his age, address and add his occupation, noting hi as an 'Ex-Regular'. From the 11th Battalion he transferred to the 75th Battalion Training Reserve (48111) . 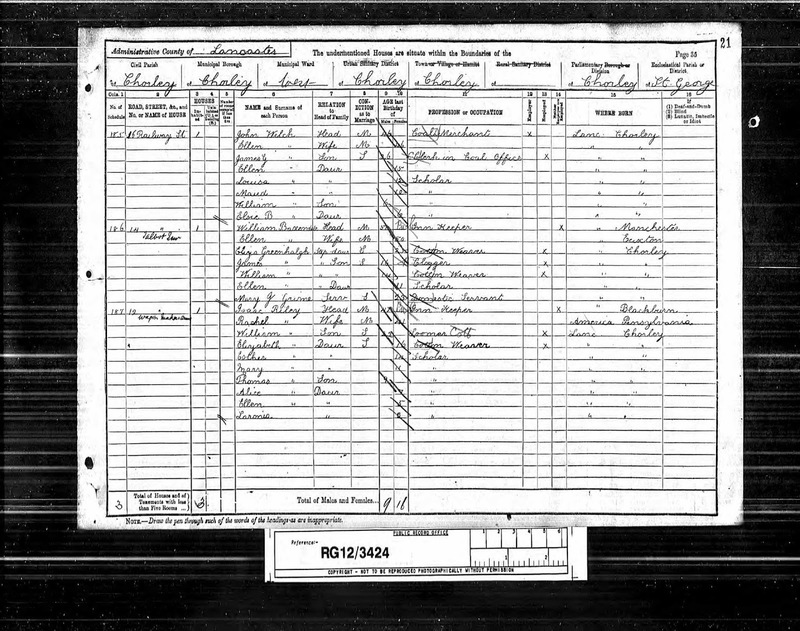 The 1911 Census has him at 5 Alker Street, Chorley: Robert Riley (39, Head, Twister, Cotton, Born in Chorley), Hannah Riley (39, Wife, Married 2 years, 1 child, still living, Weaver, Cotton, Born in Bywell, Northumberland), Robert Codling (42, Brother-in-law, Colliery Clerk, Born in Mathon, Northumberland), Tom Riley (2, Son, Born in Chorley). 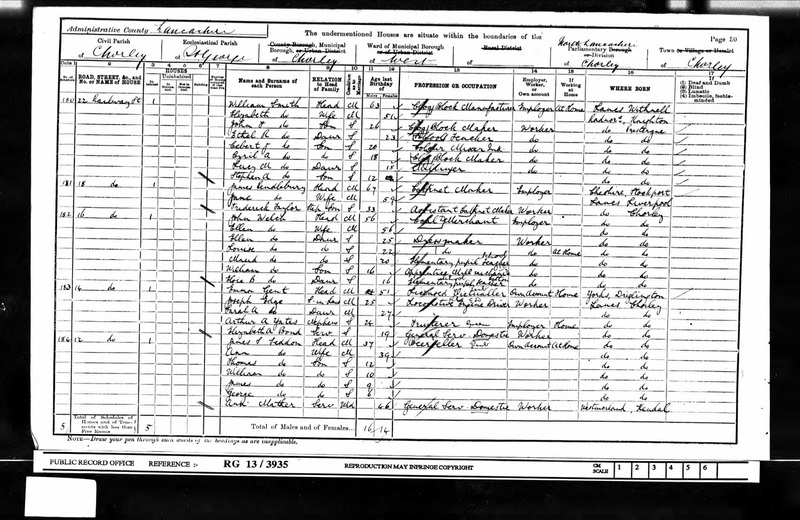 The 1911 Census has his parents living at 126 Devonshire Road, Chorley: Isaac Riley (67, Head, Loomer, Born in Blackburn), Rachel Riley (62, Wife, House Keeper, Married 33 years, 11 children, all living, Born in Pitsburg, Pensylvania, British subject by parentage), Elizabeth Riley (36, Daughter, Dress Maker, Own Account, At Home, Born in Chorley), Esther Riley (33, Daughter, Milliner, Born in Chorley), Alice Riley (27, Daughter, Tailoress, Born in Chorley), Ellen Riley (25, Daughter, Weaver, Cotton, Born in Chorley), [Lavinia] Riley (23, Daughter, Weaver, Cotton, Born in Chorley), Jane Riley (18, Daughter, Weaver, Cotton, Born in Chorley), Florence Riley (8, Granddaughter, Born in Canada, British subject by parentage). Robert Riley married Hannah Isabella Codling at St George's Church, Chorley, in 1907 [Lancashire BMD]. The 1901 Census has his parents living at 7 Trinity Road, Chorley: Isaac Riley (57, Head, Twister in Cotton Mill, Born in Blackburn), Rachel Riley (51, Wife, Born in Pennsylvania, America), Elizabeth Riley (26, Daughter, Dress Maker, Born in Chorley), Esther Riley (23, Daughter, Milliner, Born in Chorley), Mary Riley (21, Daughter, Tailoress, Born in Chorley), Thomas Rily (19, Son, Twister in Cotton Mill, Born in Chorley), Alice Riley (17, Daughter, Tailoress, Born in Chorley), Helen Riley (15, Daughter, Weaver in Cotton Mill, Born in Chorley), [Lavinia] Riley (13, Daughter, Weaver in Cotton Mill, Born in Chorley), Jane Riley (8, Daughter, Born in Chorley). 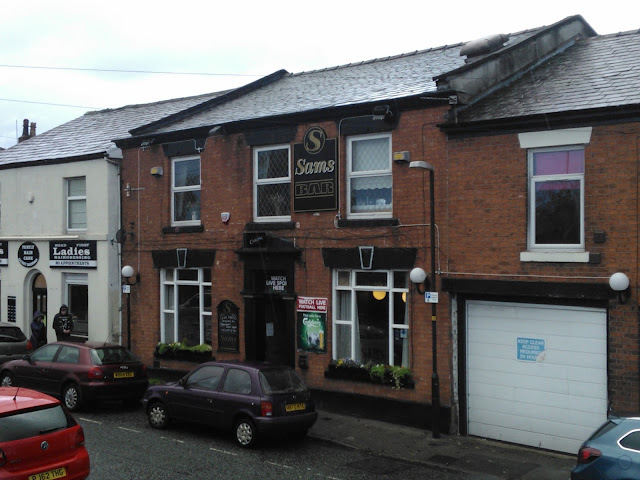 The 1891 Census has his parents living at the Wagon Maker's Arms, Railway Street, Chorley: Isaac Riley (47, Head, Inn Keeper, Born in Blackburn), Rachel Riley (41, Wife, Born in Pennsylvania, America), William Riley (22, Son, Loomer, Cotton), Elizabeth Riley (16, Daughter, Cotton Weaver, Born in Chorley), Esther Riley (14, Daughter, Scholar, Born in Chorley), Mary Riley (11, Daughter, Scholar, Born in Chorley), Thomas Riley (9, Son, Scholar, Born in Chorley), Alice Riley (7, Daughter, Tailoress, Born in Chorley), Ellen Riley (5, Daughter, Scholar, Born in Chorley), Lavinia Riley (3, Daughter, Scholar, Born in Chorley). The 1881 Census has him living at the Wagon Maker's Arms, Railway Street, Chorley: Isaac Riley (36, Head, Twister in Cotton Mill, Born in Blackburn), Rachel Riley (31, Wife, Born in Pittsburg, America), William Riley (12, Son, Twister in Cotton Mill, Born in Chorley), James Riley (11, Son, Twister in Cotton Mill, Born in Chorley), Robert Riley (9, Son, Scholar, Born in Chorley), Elizabeth Riley (6, Daughter, Scholar, Born in Chorley), Esther Riley (4, Daughter, Scholar, Born in Chorley), Mary Riley (1, Daughter, Born in Chorley). 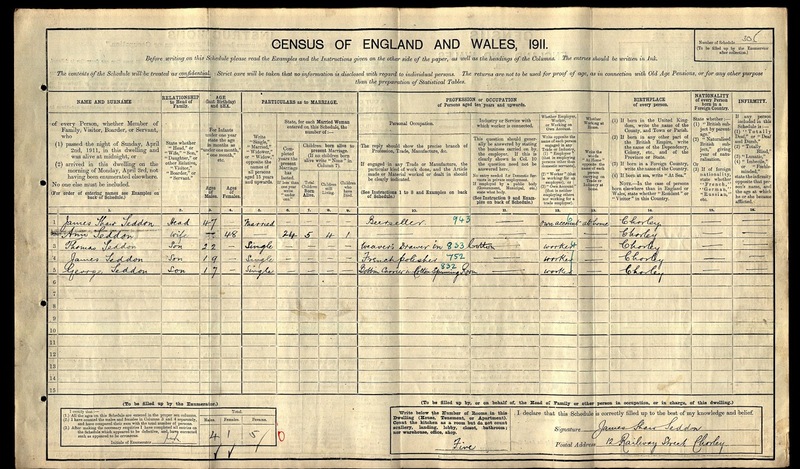 The birth of Robert Riley was registered in Chorley in 1872. His mother's maiden name was Croasdale [Lancashire BMD]. 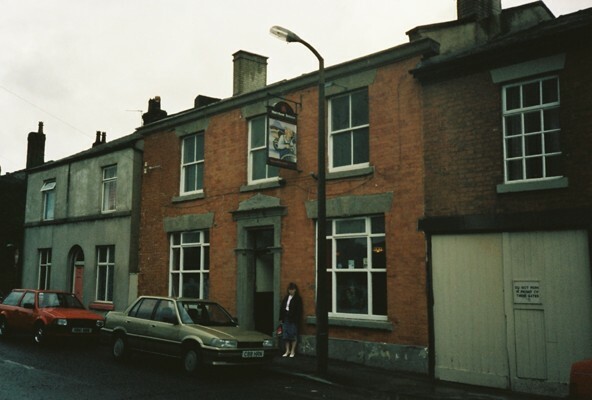 His parents, Isaac Riley and Elizabeth Croasdale, were married at St Peter's Church, Chorley, in 1868 [Lancashire BMD]. 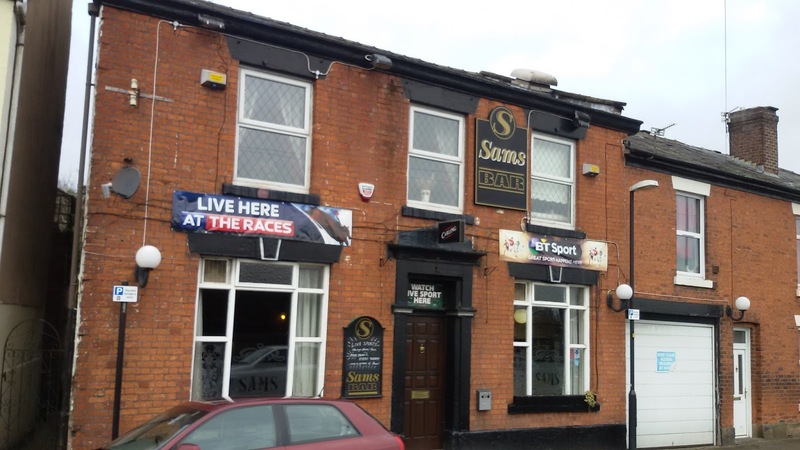 The following article was posted in the London Gazette on 14th March 2014; fortunately for Chorley's pub trade Sam's Bar and Sam's Bar Too (Moor Road formerly known as the Sebastopol) are still in business today. Any person who requires further information may contact the Joint Liquidator by telephone on 01772 202000. Alternatively enquiries can be made to Helen Doidge by e-mail at helen.doidge@begbies-traynor.com or by telephone on 01772 202000.